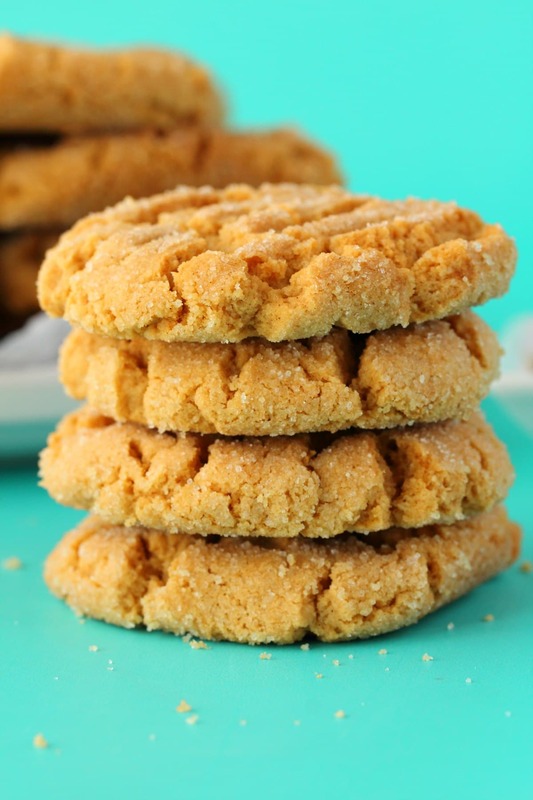 Vegan peanut butter cookies that are wonderfully crunchy and packed with peanut butter flavor. 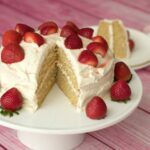 Super quick and easy to make using everyday ingredients. Oh YUM! 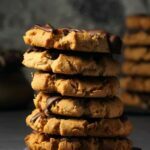 Crunchy vegan peanut butter cookies! 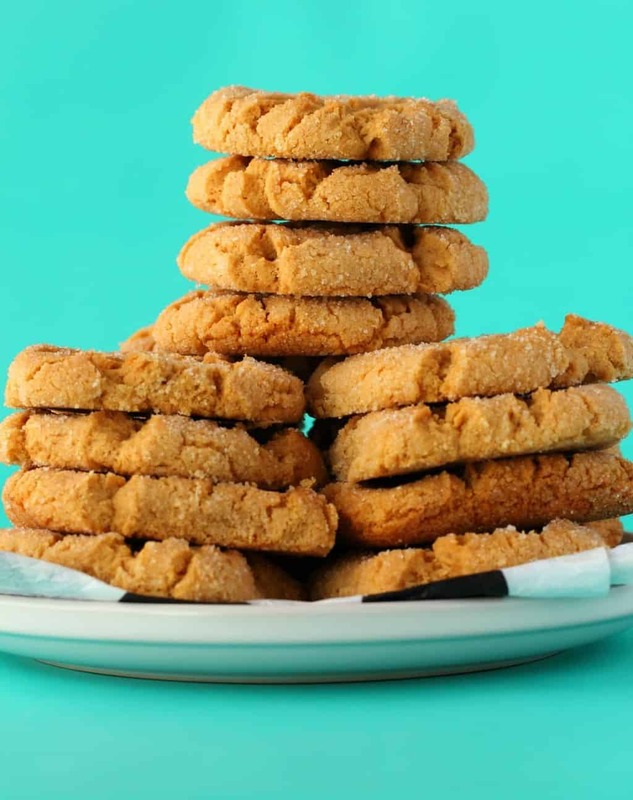 If you love peanut butter as much as I do, then you want to put it in as many things as possible, and baking it into cookies is nothing but a very fine idea. 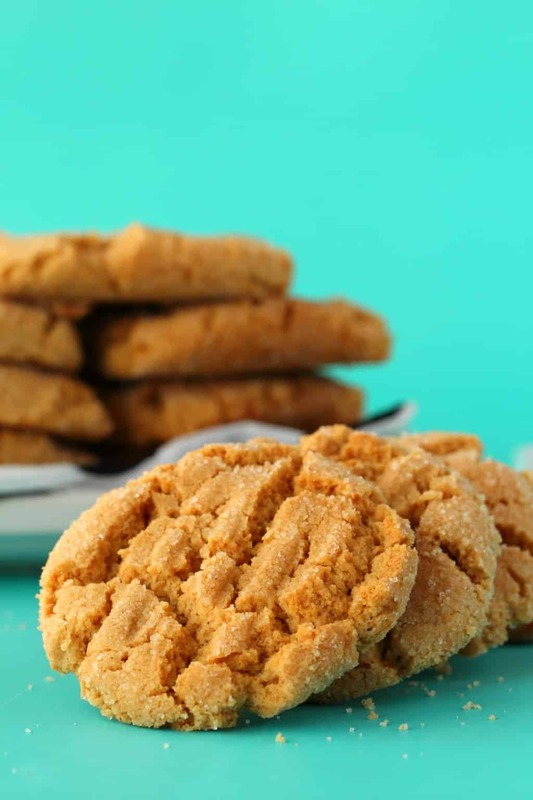 Of course peanut butter cookies is kind of a classic, so there’s no need to reinvent the wheel here or anything, it’s just a case of veganizing an old fave. And really, I made these 3 times to try out some different things and every time I made them they came out slightly differently, but ALL 3 batches were sensationally good. So I don’t think it’s really possible to mess this one up! There’s just a couple of things to be aware of that I’ll get into below. The first time I made these I couldn’t find my regular favorite peanut butter brand in the store (which is Black Cat, a South African brand), so I got an American brand instead. It was just a standard smooth salted version, but clearly must have contained a higher proportion of oil or something, because the first time I made it, I didn’t need to add any extra wet ingredients to get my cookie dough to the right consistency, it was easy to roll into balls. 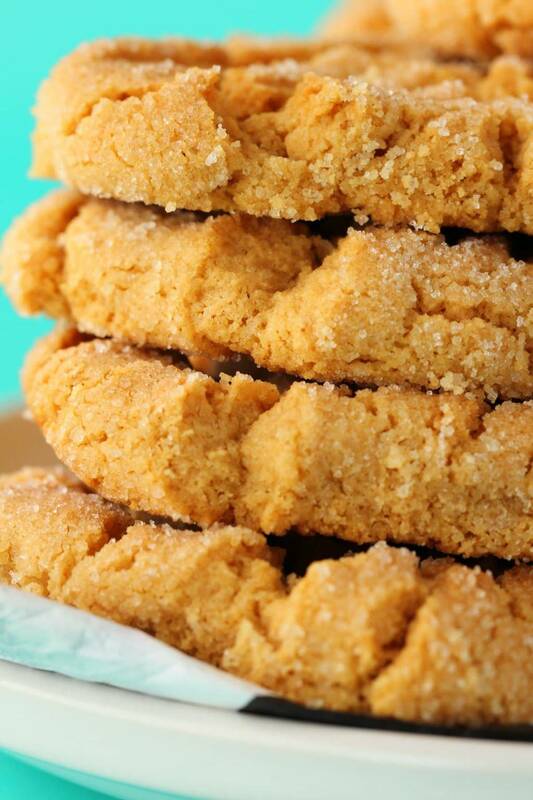 The first batch came out almost like shortbread – with that awesome hard crunch you get with shortbread. I was a big fan! But because they were so shortbready, I wondered how it would be if I added a flax egg to the recipe. 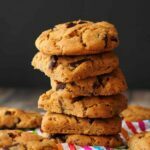 So I did this to the second batch and again – this batch came out deliciously, but was more soft and chewy, quite similar in texture to my vegan chocolate chip cookies. 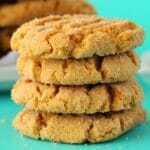 Which is great, but I thought the first batch was likely closer to a classic peanut butter cookie. So…. for this third batch that you see pictured, I decided to stick with the original recipe for the first batch, BUT in the meantime my usual peanut butter brand was back in stock so I used this one instead. And suddenly my cookie dough was just too dry, it would not form into balls, it was just crumbling. So I had to add in a little soy milk and then it was great. 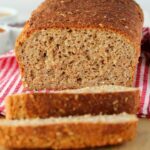 So, depending on the brand of peanut butter you use (and the brand of vegan butter too) you might end up with a dough that is just the right consistency or it may be too dry. You’ll know this by whether or not you can roll it into balls quite easily. It needs to stick together when you roll it into a ball, not crumble and break apart instantly. 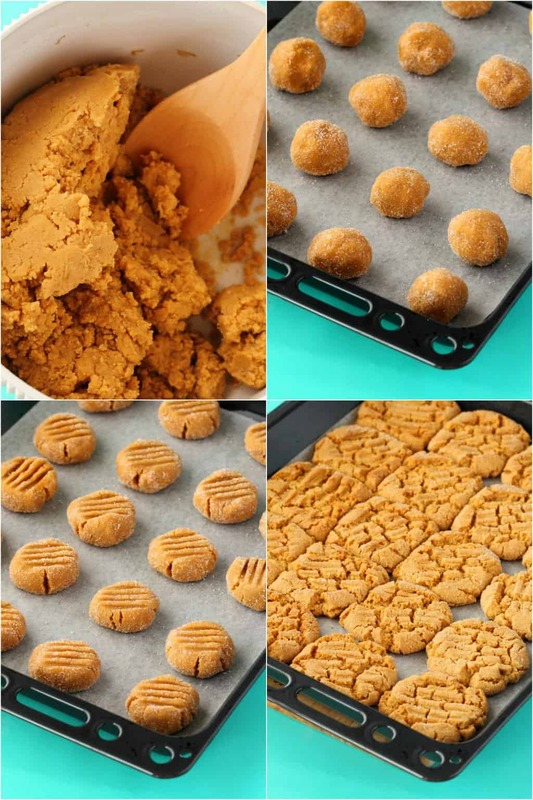 If it rolls easily then you have a perfect cookie dough and there’s no need to add any soy milk (or other non-dairy milk) to your cookie dough. However, if it breaks apart and crumbles when you try to roll the cookie dough into balls, then your dough is too dry. You can then add a little non-dairy milk until the dough is the consistency that can easily roll into balls (as pictured above). You don’t want a wet dough though, so add in the non-dairy milk a tablespoon at a time until you reach the right consistency. 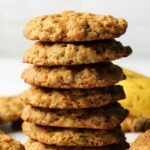 They are really quick and easy to make – taking 35 minutes in total and making in the region of 20 cookies, depending on how big you roll them. My first batch made 22 cookies, my second 24, and in this batch there are 20. I mean it’s the same amount of dough, it just depends on how large you want to roll those balls. I think the ideal is to aim for around 20 cookies from your dough. Can I make these gluten-free? 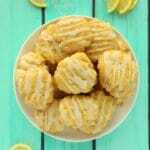 I haven’t tested these cookies as gluten-free yet, but I have had great success just doing a switch from all purpose flour to a gluten-free all purpose flour blend when making cookies generally. Just use your initiative, if the dough seems a little too dry (gluten-free flours absorb more moisture) then you may need even more non-dairy milk then you would in a batch made with regular flour. So just add as much non-dairy milk as needed at the end so you have a good textured dough that can roll easily into balls. 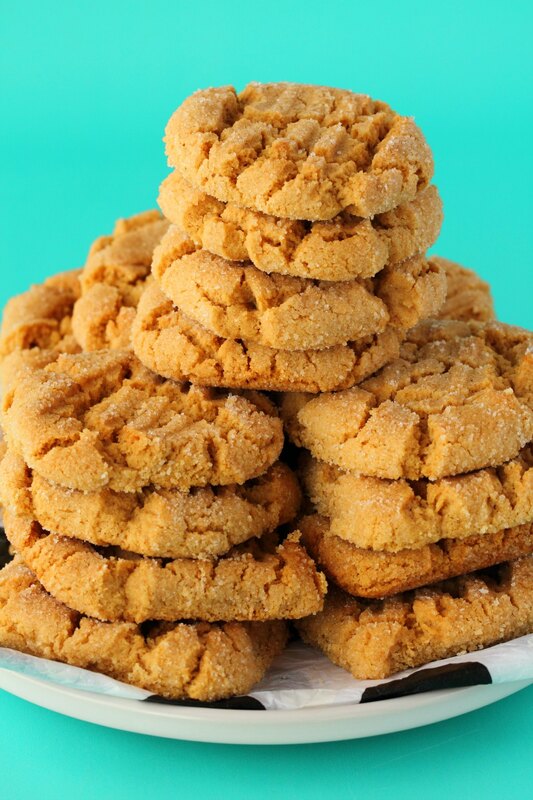 How long do these peanut butter cookies last? They last up to a week covered at room temperature. You can also keep them covered in the fridge. Can I freeze them? Yes you can! 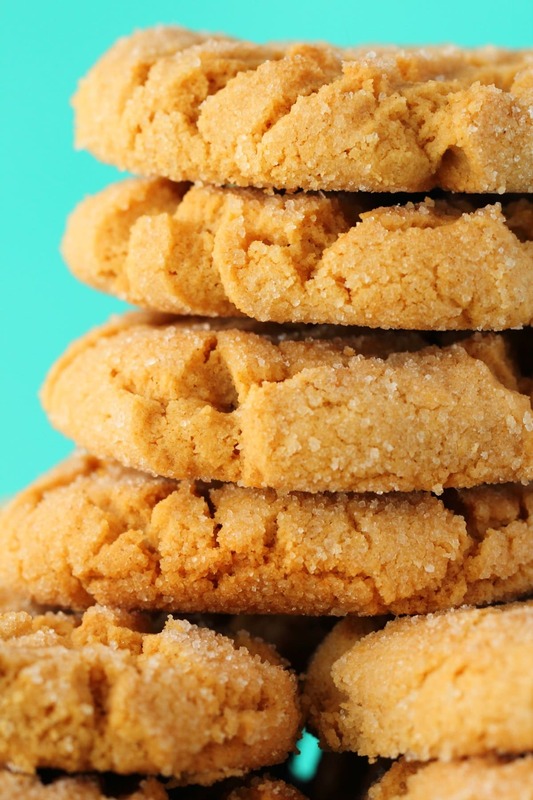 Baked cookies can be frozen for up to 3 months. Keep them covered at room temperature where they will stay good for up to a week. You can also keep them stored (covered) in the fridge. 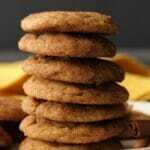 I hope you enjoy these vegan peanut butter cookies – any thoughts or questions, post them in the comments section below and please do rate the recipe too, it’s so helpful! Thank you! Sign up to our email list for a fabulous dinner recipes ebook (entirely free!) 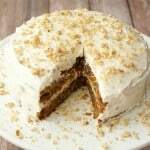 and to stay updated with all our latest recipes posted to the blog! Add the sugar and vegan butter to a mixer and beat them together until creamy. Add the peanut butter and vanilla extract and mix in. In a separate bowl, add the flour, baking soda, baking powder and salt. Then add the dry ingredients to the wet ingredients and mix in (by hand, don’t use your electric mixer for this part). Test the cookie dough by trying to roll some into a ball. If it holds together perfectly then you’re good to go. If it crumbles and won’t hold together, then add in 1 Tbsp Soy Milk and test it again. If it still won’t roll into a ball, add another 1 Tbsp Soy Milk and test again. 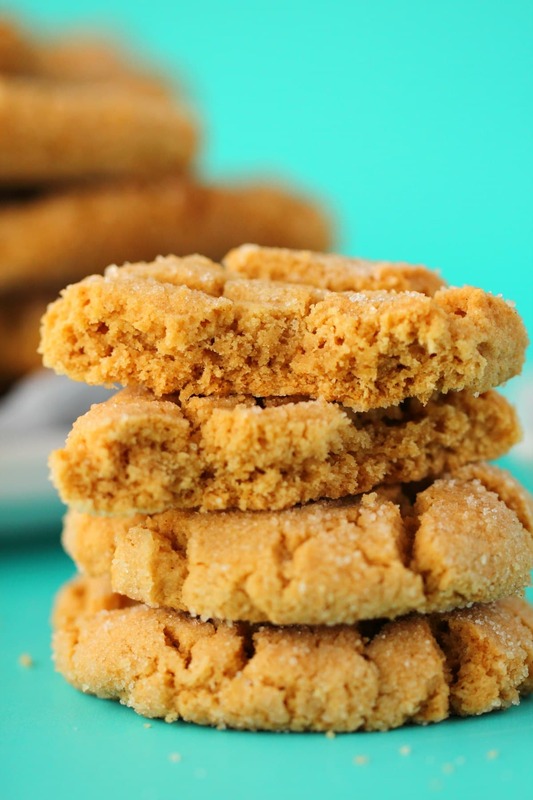 You may not need to add any soy milk to your cookie dough, or you may need up to 3 Tbsp. Roll the dough into balls, and then roll them in sugar and place evenly onto a parchment lined baking tray. Bake for 15 minutes* until golden on top. They will be soft when they come out of the oven but will firm up as they cool. 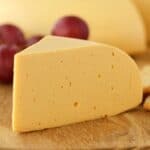 *You may not need the soy milk at all or you may need a little more, up to 3 Tbsp of soy milk, this will generally depend on the brand of peanut butter (and vegan butter) that you use. Add it only a Tbsp at a time and test to see if you can roll the dough into a ball before adding any more. *Keep a check on your cookies as they bake. 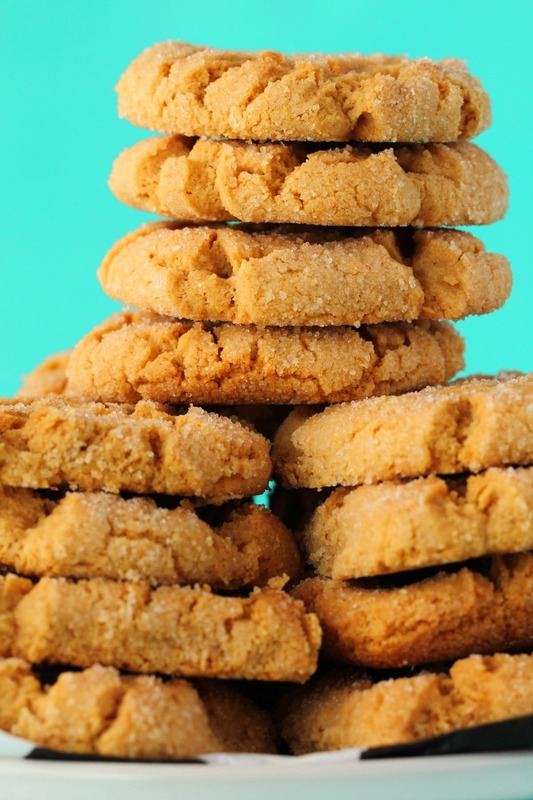 Ovens can differ quite a lot and some readers have reported that 15 minutes was too long for their cookies. So just keep an eye on them in the last few minutes. 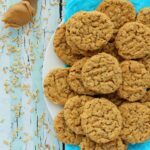 These are the BEST peanut butter cookies I can ever remember making! I followed the recipe exactly, weighing all the ingredients, except for reducing the amount of vanilla to 1 teaspoon. I used Earth Balance brand vegan butter and smooth, “natural” peanut butter. I didn’t have to add any soy milk to my dough as it was the perfect texture to roll easily, and the recipe made 31 cookies. 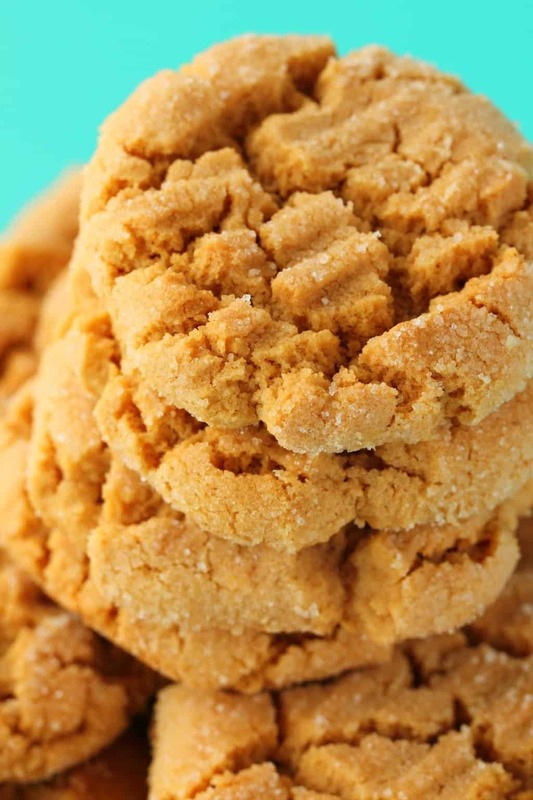 I baked them for 12 min and they turned out melt-in-your-mouth peanut-buttery smooth. Thanks for a wonderful recipe! I’ve made these twice now and both times they’ve been amazing. I’m not a great baker but found your recipe easy to follow and the results were great. I’ve recently turned vegan so can’t wait to try out more of your recipes. Would love a recipe for white chocolate and raspberry vegan cookies next. Best peanut butter cookies that I have ever made. Thank you so much!